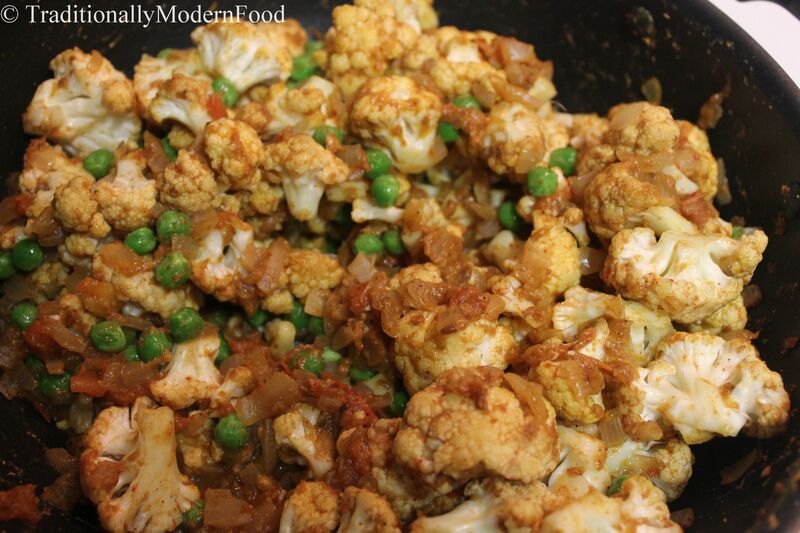 Cauliflower Peas Masala is a delicious curry prepared with cauliflower and peas. 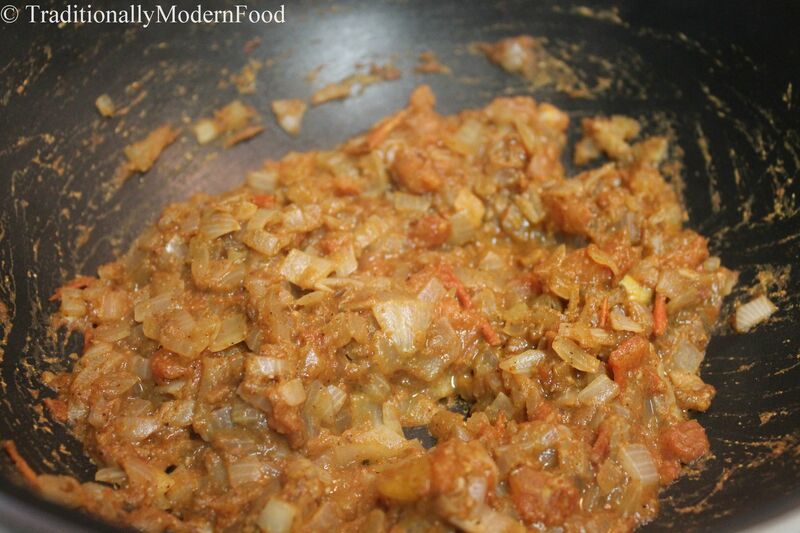 Gobi Matar can be prepared quickly. Cauliflower peas subzi tastes great with roti/ghee rice/ pulav. Sour cream gives nice flavor to the curry. Cauliflower is one of my sister’s favorite vegetable. She will be very happy if Amma serves her cauliflower everyday. It tastes great but I have seen the efforts she do looking for worms. At times there will be small worms in the cauliflower. She always cleans carefully and par boils before cooking. After I started cooking I always give second thoughts to buy cauliflower. Whenever I see cauliflower in grocery store, I hesitate to buy, thinking about the pre process One day when I was talking to a friend she told Cauliflower we get her cooks fast and doesn’t need detailed cleaning . Recently when we had buffet in Indian restaurant, I tasted cauliflower peas masala gravy and liked it. Wanted to try it home. The curry was creamy so I was thinking what to add. I had some sour cream in my fridge. It gave nice flavor to the curry. Peas is my to go vegetable. Peas gives nice texture to the dish and also I love the mild sweetness from the peas. We had Cauliflower peas masala with roti. It tastes great with any variety rice. 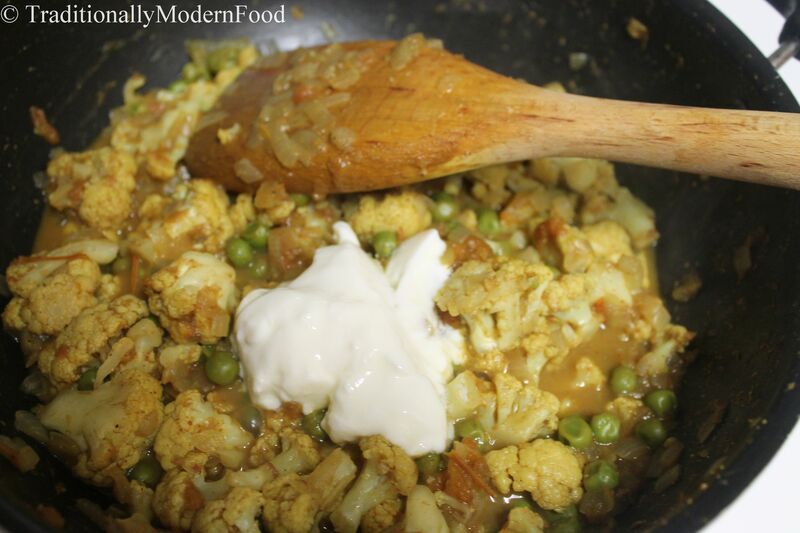 If you are looking for a restaurant style Cauliflower Peas subji try this. Whether its a potluck or dish for a party this gobi matar is definitely ah winner. One good thing about this curry is cooking time, Once after the onion- tomato masala is ready, cauliflower cooks in no time. I love going out to eat and then re-creating the recipe at home, love cauliflower it is one of my favorites. I have updated now:) Thanks for telling!! hey yummy recipe and this is one regular recipe at home….